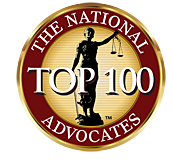 Julie Trepeck Harris - Resnick Law, P.C. Julie Trepeck is an experienced attorney who joined Resnick Law P.C. as an Associate after spending the first 11 years of her career in Chicago. Julie worked for several debtors’ rights firms before opening her own law practice in 2009. Upon moving back to Michigan, Julie sold her bankruptcy practice and joined Resnick Law to concentrate more on business/corporate law. In this first part of her career, Julie focused on personal and small business bankruptcy where she personally filed over one thousand bankruptcy petitions. She has extensive experience in motion practice, debt management, proof of claims, adversary proceedings, FDCPA violations, lien stripping and avoidance of liens. Early on, as well as through her bankruptcy practice, Julie assisted and advised homeowners through foreclosure with options of forbearance, loan modification and other alternatives available to save their homes, giving her much experience working with large and small banks. Additionally, Julie has experience in Buy-Sell Agreements, Operating Agreements, Membership/Shareholder Agreements, Mergers and other general business / corporate matters. 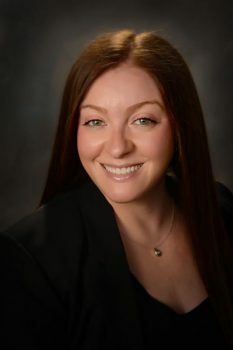 In her own law practice she handled all aspects of her firm including compliance, processes, marketing and advertising, customer service, employment, accounting, licensure, registration and insurance. Julie’s number one goal as an attorney is to provide exceptional service in a cost-effective way. Her solutions-oriented thinking brings a fresh outlook to the table. Since joining Resnick Law, the focus of Julie’s career has been in commercial transactions, real estate and construction. Her unique understanding as an entrepreneur and former business owner brings a needed perspective to her general business practice which can involve initial decisions of entity choice, formation and operation; transactional services; drafting and reviewing contracts and buy/sell agreements; managing risk; succession planning; mergers and acquisitions; and dissolutions. Julie knows the time, effort, energy, challenges and money that it takes to run a successful business and her main objective is to see the business of her clients thrive. Julie also assists in matters of commercial litigation; estate planning and probate; property tax appeals; and bankruptcy and foreclosure.